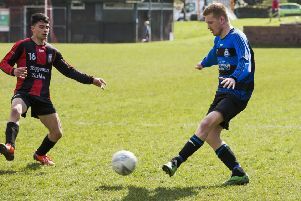 Ryburn United continued their preparations for a Challenge Cup final date with Shelf FC by beating Hebden Royd Red Star 4-2 at Ripponden Wood in the Halifax AFL last night. United, who could still finish runners-up to Illingworth St Mary’s in the Premier Division, face Division One champions Shelf at the Shay on May 15. Calder ‘76 Reserves went above Elland Allstars in mid-table in Division One with a 4-3 win when the pair at Luddenden Foot Park in last night’s other game.